I rec’d these questions in an email and thought they would be fun to share here in the blogosphere. I’m posting the questions (and my answers) and hope you’ll consider “playing along.” Just for grins, I’ve answered in pictures because I’m goofy like that. 1. What’s a movie you’ve enjoyed more than once? 2. What recent book has been impactful on you? 3. What chore would you happily pay someone else to do? 4. What song will you always crank up the volume for? 5. What’s a food you loved as a child? Do you still eat it? I’ve told you a few of my favorite things … Tag, you’re it! Happy Memorial Day, everyone. On Monday, I celebrated four years as a citizen. I’m grateful for the sacrifices of many … Land of the free, because of the brave! haha…good to know licorice is a food. Come to think of it, my mother knows that! Grease… About a zillion times! LOL… Congrats on your anniversary! Mama Mia, 1861, bathrooms, Boys of Summer, PB&J (yes, I still eat it). And congratulations!!! What an awesome anniversary to have! Ah, congrats on your citizenship anniversary–and happy Memoiral Day, as well. I think it was a good day for America when we snagged you MJ! Happy Memorial Day. 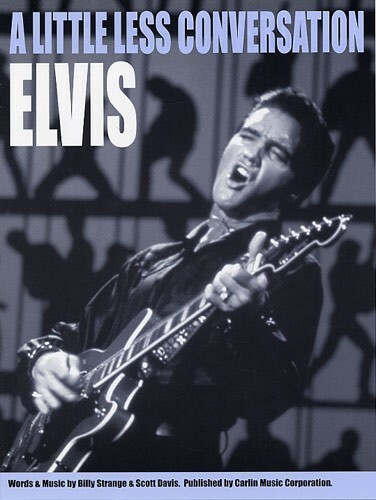 I hope you get to listen to lots of Elvis. Happy “I’m an American citizen” day! I’m going to check out the book and movie. I remember when the movie was released. 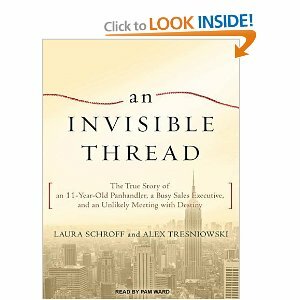 I just read a blurb about “An Invisible Thread” and started tearing up. I’ll definitely have to read that book. Congrats on the anniversary of your citizenship! It’s awesome being the only black licorice aficionado in my house b/c that means it’s all mine :). I’m off to buy some mini flags for my flower bed, MJ. This looks like fun! I’ll play along – will begin working on my answers soon! Have a great holiday weekend! Congratulations on the anniversary of your citizenship, MJ. 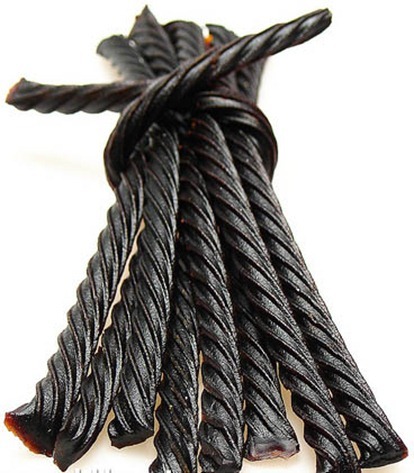 I share your love of black licorice! I tend to eat the strawberry more these days, but enjoy Good & Plenty candy, still. I don’t mind the weeds, would gladly give up dusting and floors! Proud to know you, citizen. Fun answers. And congratulations on citizenship!